One can find a number of historical inscriptions inside the temple. 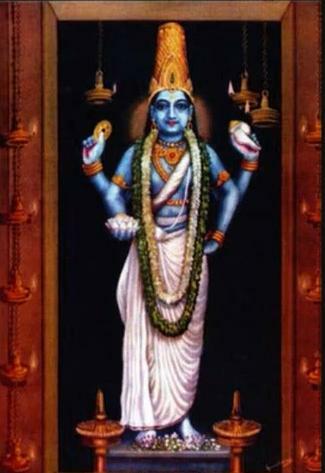 There are references to the Thiruvalla Lord in Garuda Puranam and Matsya Puranam. 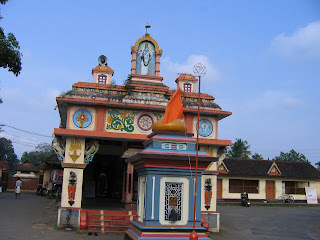 A spinster who used to undertake Ekadesi penance at this place was constantly disturbed by an asura. Pleased with her prayers, Lord Vallbhan disguised himself as a Brahmachari and killed the asura using his chakra. 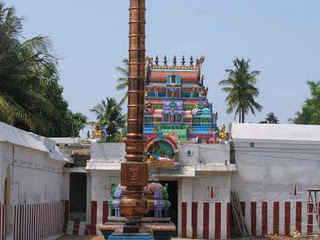 The Chakra is said to have fallen at the place where the temple is situated currently. At the end of her penance, she found the Lord’s chest being blocked by the Brahmachari and immediately realised that the Lord had himself come down here to protect her from the Asura. She requested the Lord to stay put here displaying his handsome form. 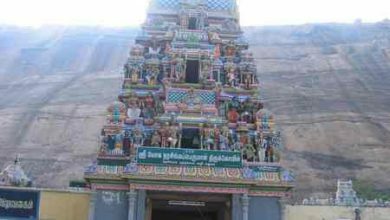 It is believed that the Lord here protects all the devotees from evil forces. 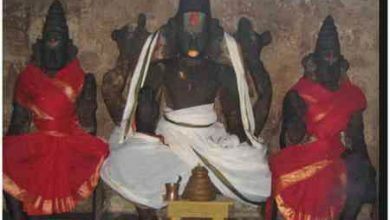 Another story goes that KandaaKarnan, a Shiva devotee, undertook penance invoking Lord Vishnu. 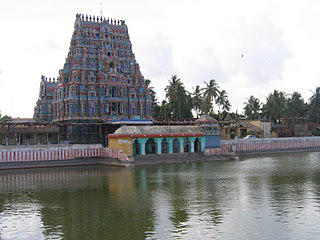 It is believed that Vishnu appeared before Kandaa Karnan and provided him darshan as Vallabhan. In centuries gone by, ladies were allowed inside the temple only on a couple of specific occasions in the year but this is no more the case. Thirumangai Azhvaar, who has not sung praises of too many of the Malai Naatu Divya Desam Lords, has dedicated 10 verses to Thiruvalla Lord and has referred to the Lord as ‘ Valla Vaazh’. 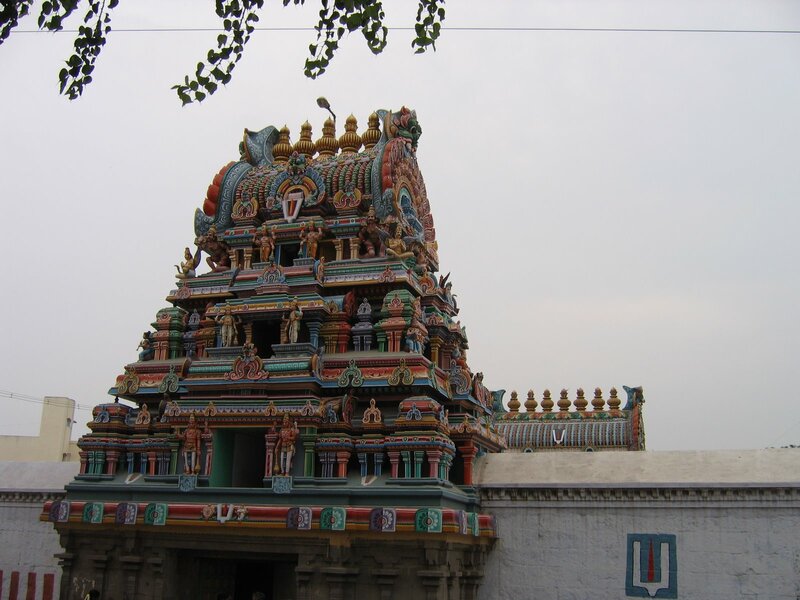 Every Saturday morning, there is a special pooja at this divya desam similar to the one at Thiruvanparisaram. 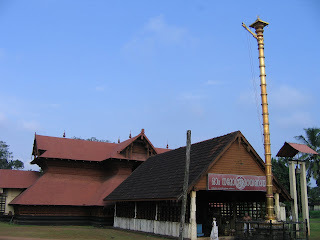 By bus: Buses every 5-10minutes from Kottayam on the Thiruvalla route.